Bait Caster / Spinning Holds a bait caster reel in a cushioned cradle. 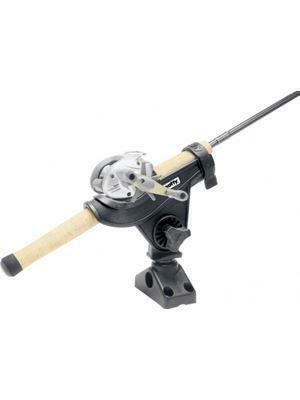 A slot in the front of the rod holder allows for a spinnin reel to be securely held in position. The rod holder design has a side mounted flange, which leaves the bottom open. This will accommodate trigger grips.